Today we’re excited to announce the release of WPForms 1.4.7! 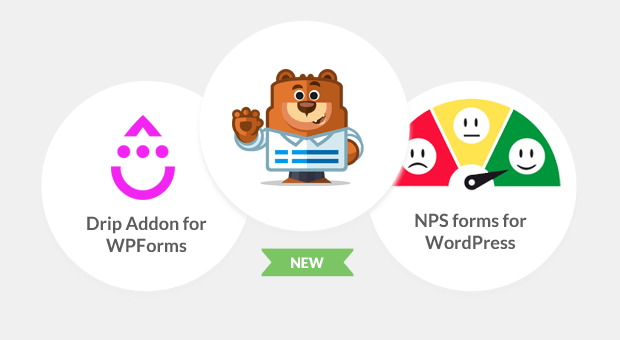 In this release, we’ve not only integrated one of the most popular email marketing services – Drip – into the WPForms plugin, we’ve also added a neat NPS form field to the Surveys & Polls addon. So, let’s see what’s in store for you! Are you using Drip as your email marketing service provider? 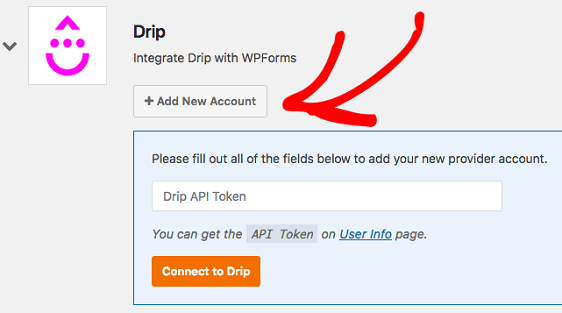 Well, we’re happy to announce that the much anticipated Drip addon is now ready for you to use with WPForms. Making it incredibly easy for you to integrate Drip with WPForms, this new addon comes packed with powerful, yet easy to use features designed to give you an edge when it comes to email list building. As part of this addon, we also made significant improvements to our marketing integration framework, so we will be able to add even more integrations in the near future. In addition to the Drip addon, this release comes with a new form field. Built into one of our most popular addons to date, the Surveys & Polls addon, the Net Promoter Score (NPS) form field gives you the power to better gauge customer loyalty. Much like a Likert scale, not only can you determine whether site visitors are satisfied with your brand, you can also find out why they are more or less likely to recommend you to others, again thanks to smart conditional logic. 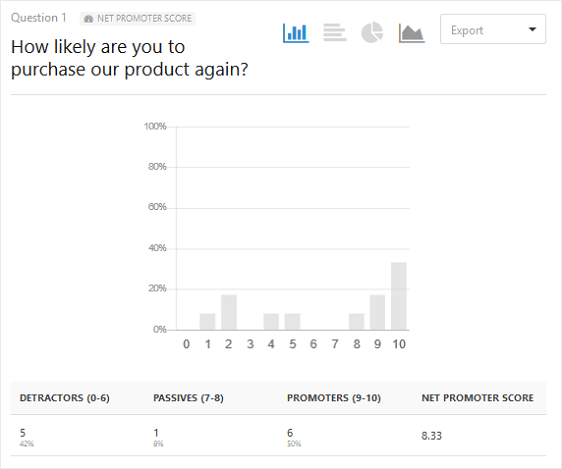 The great thing about the NPS form field is that when you navigate to your survey reports on the backend of your site, you get to see actual Net Promoter Scores. Unlike the traditional customer satisfaction survey, which just displays the results of your survey, the NPS form field provides an actual score that calculates based on user results. This helps you make better decisions to improve your brand and boost customer satisfaction. And that’s all we have for you today! We hope you enjoy using the new Drip addon and give the NPS form field a try. And when you do, we hope to hear your feedback! Don’t have the WPForms Pro license? Click here to Get Started today and experience the power, and ease, of WPForms. As always, thank you for your continued support of WPForms. We look forward to bringing you more updates soon! Loving the surveys addon having NPS built in is a game changer. I really hope this means that Active Campaign is coming next! This is definitely on our feature request list for consideration, and I’ll add your vote to that as well. In case it helps in the meantime, you could consider using Zapier to create an ActiveCampaign integration — here’s our tutorial showing how this would work (this would require a Pro license level or higher).